We help health systems and providers connect, communicate and care for their patients over one of the nation’s leading unified telemedicine platforms. Cloudbreak is an enablement platform solving some of healthcare's biggest problems. Cloudbreak is making waves. Read all about it here as well as get valuable information on telemedicine, the future of healthcare and more. Stay Informed. Get Educated. Make Your Life Easier. Part of Humanizing Healthcare is making it easier for you to aquire the knowledge you need to make an educated decision. We have assembled a broad range of resources to help you out. We hope they save you time and provide information you can use to make the right partner decision (which we certainly hope will be us). Medicine as a field does not just treat illnesses — it treats human beings. In providing care for these patients, there are some complications that arrive that get in the way of quality care. That's where Cloudbreak Health comes in. Jamey Edwards, co-founder and chief executive of El Segundo telemedicine firm Cloudbreak Health, likes to be on the cutting edge of technology when it comes to his business. When it comes to his office, however, he prefers a homey, vintage feel. Cloudbreak is a unified telemedicine platform, integrating specialties and services from across the country onto a single platform. In the evolution of the healthcare industry, silos have been created in a patient’s care team. It is our goal to break down those silos. 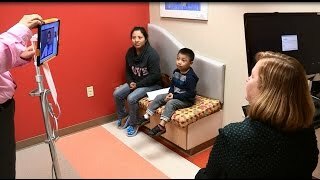 A new tool at Children’s Hospital & Medical Center is helping us break down the language barrier to deliver the very best care and experience for all families. Meet MARTTI. 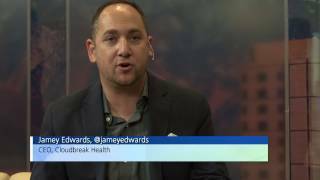 In this episode of Outcomes Rocket, listen to Jamey Edwards, CEO of Cloudbreak Health, talk about the challenges in the healthcare industry today and how Cloudbreak Health is working to humanize healthcare for patients and providers. Discover how Cloudbreak is providing innovative solutions that allow for greater ease of access for patients, better communication between providers, and empowerment of patients, providers, and hospitals. Telehealth innovations advance inclusion, access and quality. 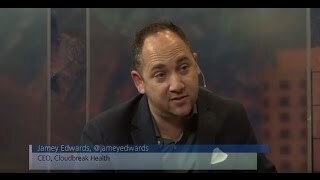 Neil Milliken at AXSchat interviews Jamey Edwards, CEO of Cloudbreak Health. In this podcast, we’ll learn about the origin of the "pink socks" and discussing how Cloudbreak's telehealth innovations are increasing access to healthcare. We invite the media to use our logos and other brand documentation. Please contact me at* . Be in the know! Cloudbreak will keep you posted on what's happening in healthcare. © Cloudbreak Health 2017. All Rights Reserved.